If you are unlucky enough to have a crash in the Selwyn District, contact your insurer & nominate Ellesmere Motor Bodies as your preferred repairer. We take over from there with your vehicle damage being assessed & digital images taken. We then liaise with the assessor to determine the best repair option for your vehicle. We are approved Insurance repairer’s for IAG, FMG & undertake work for all the major NZ Insurance company’s AA,Vero, Autosure, Allianz, Aon, Monument, QBE, Fintel, MAS, Youi, Zurich, Smartpak, SIS + more. 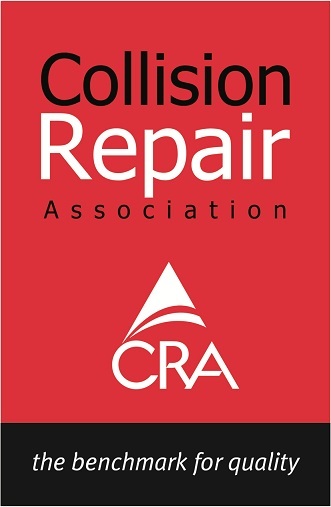 We are registed members of the NZ Crash Repair Association CRA. The bench mark for quality in collision repair. You can use one of our late model Toyota loan cars while your vehicle is being repaired. Please enquire about a booking. We have a large fully equipped workshop with the latest 3D measuring system & inverted spot welder, 2 post hoist, chassis & dent pulling equipment, mig welders, plastic welders, air & hand tools. We have all the right gear & the skills to get your vehicle back on the road. To ensure the absolute best results in paint refinishing all our spray painting is carried out in our heated spray bake oven. We use the latest in paint technology with the recent installation of water based paints which all vehicle manufactures around the world now use giving cleaner colours and its environmentally friendly. We can make any paint colour & have a digital spectrometer that matches the paint colour for use. Your car will look like new again! 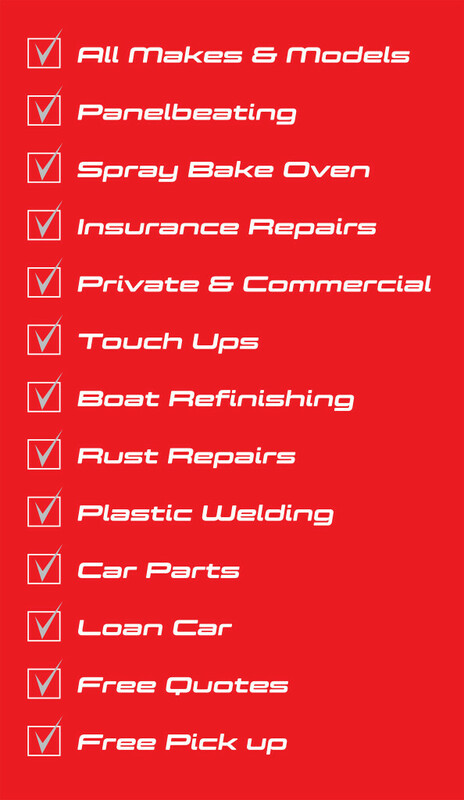 We have made a name for ourselves in the South Island for our high quality jet boat refinishing. From the initial bare alloy boat hull right through to the glossy topcoats. We are the preferred painters of new jet boats for Jetseeker & Hamilton Jet. We have painted hundreds of boats over the years, check out some of our work in the gallery. We can find any car part new or used for all makes and models at the best price via our parts link Partstrader which is also linked with all the major insurance companies. Rust never sleeps and if you have noticed any on your vehicle its best to get it repaired early preventing extra cost. If you have failed a Wof or Cof inspection because of rust or corrosion to the vehicle structure, come in & see us, we have qualified panel beaters who can put it right. We have a high standard in car restoration bringing that old car in the shed back to its former glory. We work with the customer. We are the preferred painters for Cochranes Farm Machinery Specialists covering the wider Canterbury region. We have had a lot of experience painting tractors and machinery from vintage through to the latest models. We have the contacts to get your vehicle picked up quickly and safely. We also have our own car transporter trailer. We are a Smith & Smith glass service link for the local area so your windscreen can be replaced by the professionals onsite. Phil is passionate about Motorsport racing a Subaru Impreza in Targa & hill-climb events around the South Island. This has lead to repairing and painting of rally cars for customers from crash repairs to full paint jobs. Ellesmere Motor Bodies Ltd sponsors motorsport events around the Canterbury region.